White’s, Northern Ireland’s market leading porridge and oat cereal brand has given its support to Armagh’s flagship ‘International Road Race’ event as principal sponsor of the U13 Races. The road race, which is expected to attract over 1,000 young runners from schools across Ireland, will bring together runners aged between 6 and 13 years of age to compete in one of the best international road races in Europe. There are 11 races in total ranging from 400m to 1400m. White’s is passionate about supporting athletes and runners with its range of quality and award winning porridge oats and encouraging young people to get involved in sport rom a young age. From promoting the importance of a healthy and balanced diet to instilling good nutritional habits, the sponsorship provides a great platform to develop the next generation of local sporting talent on such an elite stage of athleticism. 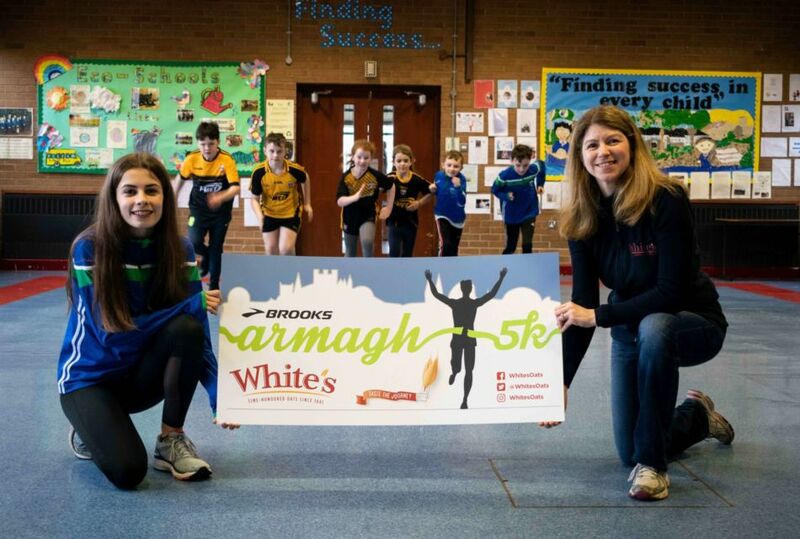 Danielle Mc Bride, Brand Manager of White’s Oats commenting on the partnership said, ‘’White’s is delighted to come on board as principal sponsor of the under 13 Races. The link between good simple nutrition and what it can deliver in terms of health, sustaining energy levels and supporting a strong body is becoming more readily understood and, we very much look forward to promoting the benefits around good nutrition and sport to our young aspiring athletes’’. ‘’Oats are a mighty superfood for runners owing to their complex carbohydrates, and vital for optimal training and performance. They are also hugely versatile and can be made into tasty and nutritious snacks for after a race’’. Good luck to all the runners taking part next Thursday 14th February at the mall in Armagh, in what promises to be a fantastic spectacle of elite running.